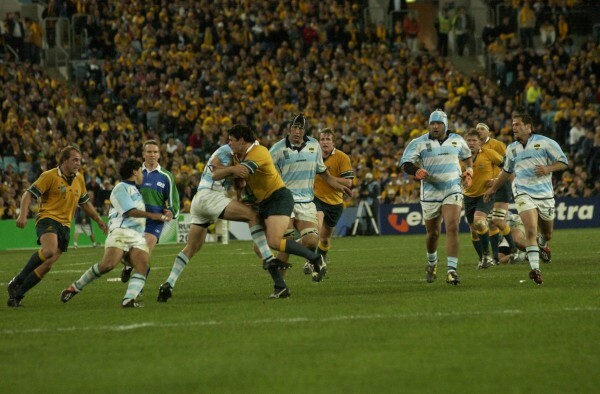 In the build-up to this afternoon’s Rugby World Cup semi-final we look back at some of the most exciting clashes between Argentina and Australia down the year’s. The only ever draw between these two sides came almost 28 years ago to the day as the touring Australians took a share of the spoils in Buenos Aires. In front of a capacity crowd at the José Amalfitani, a tight Test match unfolded as neither side could force home their advantage. Steve Cutler and Michael Lynagh were amongst the scorers for Australia, Lynagh notching three goals, while winger Diego Cuesta Silva, who has worked as a physician since retirement, was the hosts’ sole tryscorer, Hugo Porta getting five goals in one of the finest performances of his 24-year career at senior level. It proved to be a good result for the hosts who recovered well from a 26-0 shutout in the last fixture between the two sides and would go on to beat their visitors 27-19 a week later, the only defeat the Wallabies suffered on the nine-game tour of the country. Australia and Argentina have become common foes in recent years, playing almost half of their total fixtures since 2012 since the Pumas have entered the Rugby Championship. This game proved to be memorable as it remains the closest Argentina have got to a win on enemy turf since a 3-18 win in Brisbane in 1983. Prior to this game, Australia were suffering a four-game losing streak and another reverse looked to be in prospect when driving wind and rain greeted the players at the Oval and Argentina went ahead seven minutes in as Nicolas Sanchez kicked a penalty. But Christian Leali’ifano responded defiantly, slotting over two penalties of his own before the Wallabies’ increasingly dominant pack got its’ reward as Israel Folau cut through four would-be tacklers on his way to the line 28 minutes in, Leali’ifano failed to add the extras but brought up a 14-3 interval lead with a penalty of the stroke of half time. 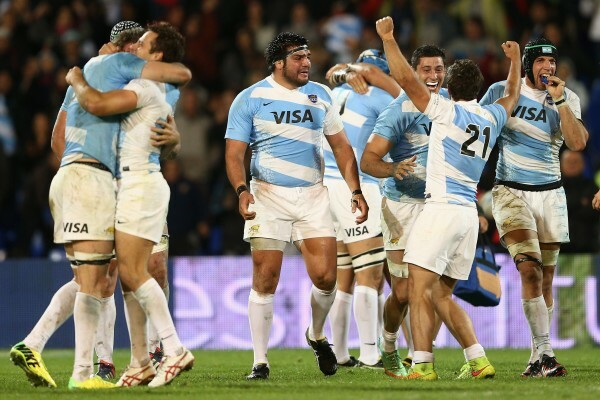 Undeterred, Argentina, with the wind at their backs, soon forced their way back into the game, dominating early territory but it took 20 minutes for their reply to come as Juan Leguizamon supported a Felipe Contepomi break to go over, a score which Sanchez converted to make it 14-13. The second World Cup game between these two nations to date brought together the hosts and a plucky opponent in front of a sell out Telstra Stadium for the opening fixture of the competition. With 81,350 people in attendance, Australia were far from their best as Argentina unsettled their much-fancied adversaries. Were it not for the blockbusting efforts of powerhouse winger Wendell Sailor, Australia could have been in a much worse position. The hulking Queenslander finished the game with a first half try as Elton Flatley kicked four goals. Argentina were firmly in the contest until the dying embers of the game as Ignacio Corleto made it 17-8 with ten minutes to go, but Joe Roff was on hand to spare the Wallabies’ blushes late on. Australia survived a major scare to edge past Argentina 23-19, denying the South Americans their first Rugby Championship win in the process. Argentina looked well on their way to victory as they held a 19-6 lead with 20 minutes to play, but tries from Pat McCabe and Digby Ioane broke the visitors’ hearts. A quickfire pair of sharp tries from Tomas Leonardi and Julio Farias Cabello at the start of the second half put the Pumas into a commanding position, but the frustration of the home crowd was tempered when the error-strewn hosts went to the well to claw out a win. Centre McCabe barrelled his way over for the crucial breakthrough before Nick Phipps ran down a blind alley to put Ioane clear and a penalty kick at the death from Kurtley Beale took Australia to 17 unanswered points in a steely final quarter. 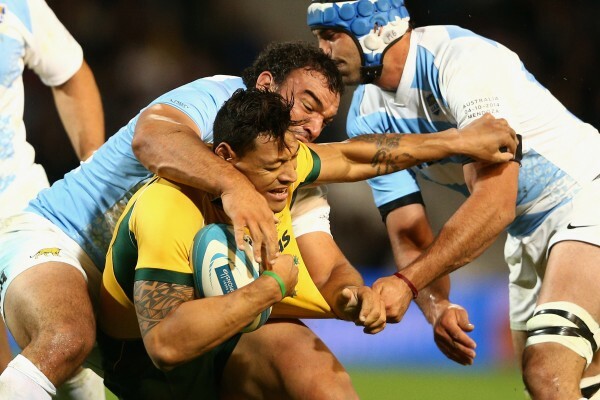 A game which was memorable for all the right reasons in the Argentina camp as they ended a 17-year losing streak against the Wallabies. It was made all the more stunning as the hosts had to come back from a mountainous 14-0 deficit after a below-par start, to secure their first win since joining the Rugby Championship. Tries from Tevita Kuridrani and Scott Higginbotham gave the visitors an ominous advantage early on but Leonardo Senatore’s converted try and a Nicolas Sanchez penalty cut the deficit to six points before half-time. Argentina took the lead thanks to Juan Imhoff’s converted score on 53 minutes and they never looked back, Sanchez adding two further penalty goals to seal the points, meaning Barnard Foley’s second-half penalty meant little in the end.